spatial learning | O’HARA & CO.,LTD. 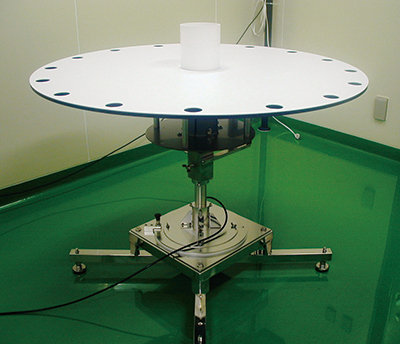 The Morris water maze pool is placed on a frame to set the final height of the apparatus to 90cm above the floor. This height is designed to prevent any effects from the experimenter’s movement on the subject’s behavior. 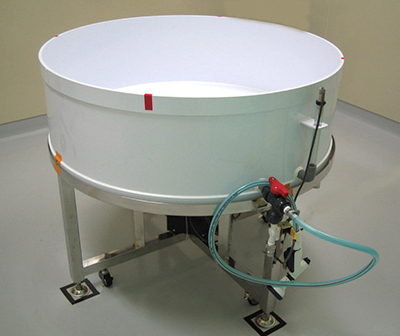 The bottom of the pool is designed to slope towards the center for easy drainage and maintenance of the apparatus. Furthermore, the option of level sensors as well as a solenoid valve is available to automatically regulate the level of water in the pool throughout testing. By using the software, all tests and behavior analysis can be performed systematically. 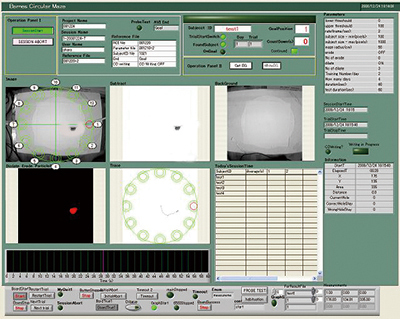 Additionally, this software navigates the start and the goal positions during testing, thereby decreasing human error and providing a smoothly run experiment. There are two possible maze types available, one with 12 holes and the other with 16 holes. The Barnes circular maze is placed on a frame to set the final height to 90cm above the floor. This height is designed to prevent any effects from the experimenter’s movement on the subject’s behavior. 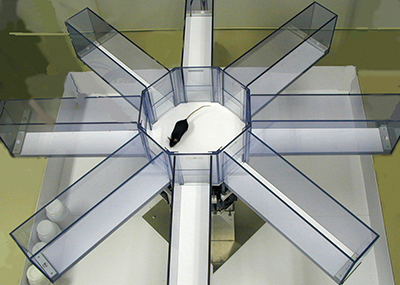 In order to stabilize the subject before testing, the subject is first placed in a start box and then at the start of the experiment, the start box is simultaneously stored underneath the maze during testing. 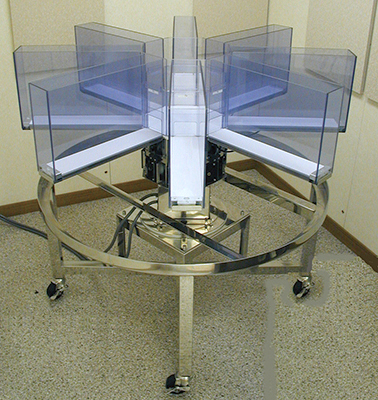 The software includes a navigation function, which provides for a fully automated experiment. 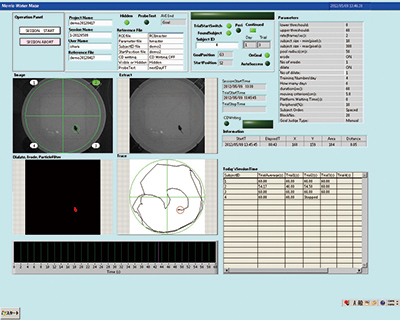 The experimenter only needs to place the subject in the start box and place the escape box in the position assigned by the software.